At Eyecare Plus Springvale we understand that glasses alone are not the solution to all eye problems. That is why we offer both orthoptic eye therapy, which helps the eyes work together, and developmental eye therapy, which aids in the processing of visual information. Orthoptics refers to ‘straightening of the eyes’ and was originally developed back in the 1930s. The orthoptic health care profession evolved and specialised as scientific development increased in the diagnosis, management and pre/post-surgical care of patients with strabimus, binocular vision abnormalities and specific disorders. What is the process for orthoptic eye therapy? To see an therapist (orthoptist), patients will need a referral from either an optometrist or eye specialist. A ‘Pre-therapy questionnaire’ must be first be completed to ensure all your visual needs are identified and addressed. After your initial assessment, your orthoptist may recommend: corrective lenses/prisms, eye therapy or an additional perceptual vision assessment to see if other vision problems are also affecting their learning. Perceptual vision is a visual skill that helps children interpret and accurately process in their brain what their eyes are seeing. These skills are necessary once children are ready to learn to read. Children with functional vision problems such as strabismus and amblyopia are may also experience perceptual vision difficulties. 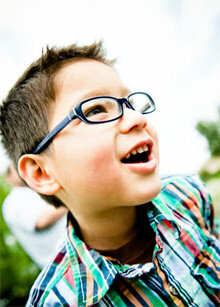 What is Developmental Vision Therapy? Just like binocular skills, poorly developed perceptual skills can be trained to a higher level of efficiency and stamina. Developmental vision therapy uses one-on-one sessions to train children to improve their cognitive visual abilities. This helps them to interpret and organise the information they see, thus attributing meaning to perceived shapes and forms. What is the process of a Vision Information Processing assessment? A ‘Pre-therapy survey’ must be completed to ensure all your child’s visual concerns are identified. The Vision Information Processing assessment includes many standardised tests to assess exactly which visual skills a child may be struggling with. The assessment take 90 minutes. A separate appointment with the parent to discuss assessment results and a comprehensive report will be provided.